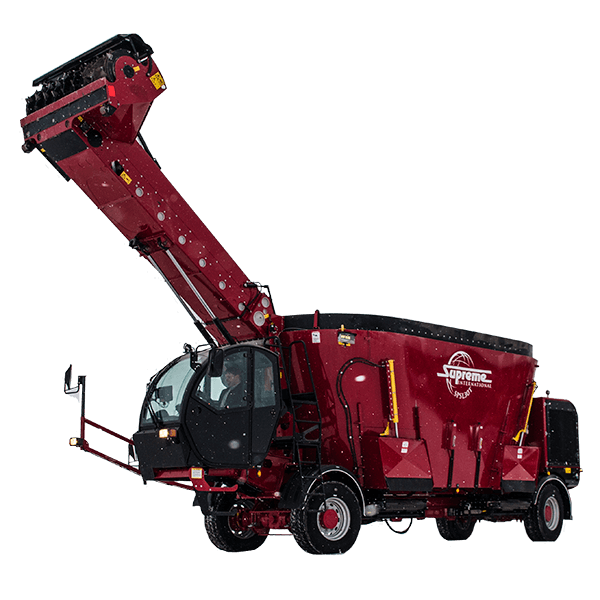 The SPSL30T offers producers unsurpassed mixing consistency and operation efficiency. 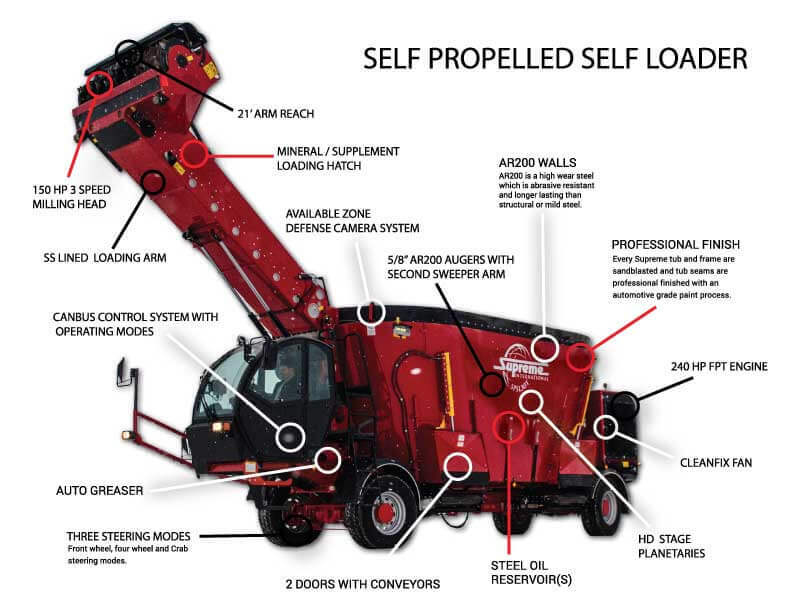 With the SPSL30T, operations don’t need to rely on a truck or tractor to power their processor, and users can load their commodities with the revolutionary loading arm. This will cause a faster mixing and feeding time, and reduce the number of implements required for feeding. Users will see a drastic reduction in fuel costs, and be able to focus on other areas of their operations. For operations looking to become as efficient as possible, the all-new SPSL is a revolutionary solution for their feeding needs.